Discover the complete list of the 2017 Golden Globes Cinema. 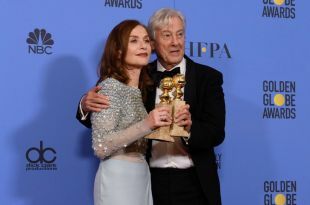 France won two Golden Globes thanks to actress Isabelle Huppert (next the Oscars?) and the feature film Elle by Paul Verhoeven. La La Land by Damien Chazelle with Ryan Gosling and Emma Stone won 7 Golden Globes.